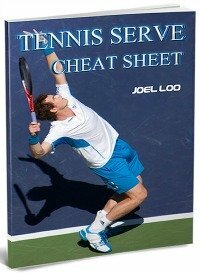 Tennis Game Styles: What Is Your Style Of Play? This is a subject that many non-professional tennis players don’t necessarily stop to think about. Everyone learns stances, grips, swings, etc. but one of the most critical components to becoming a serious tennis player is having the knowledge of the various game styles and adopt them based on your strengths and weaknesses. The main tennis game styles are categorized as: counterpuncher, aggressive baseliner, net rusher and all-court player. As your competence on the court increases, I advise you to try all four of these games styles and see how you like them. There are two advantages to using them: one is to maximize on your opponents weak qualities and the other is to enhance your own strong skills. People usually gravitate to one or two favorites, but they all come in handy in a competitive game and being able to think quickly and move into one of these modes can make you a formidable player. The Defensive Counterpuncher – Able to return almost every shot, this player usually waits for his opponent to make a mistake. He stays back at the baseline and concentrates on getting the ball over the net. You need to be physically and mentally strong to play this way because it is basically a defensive game where you just keep hitting the next ball until your opponent makes a mistake, perhaps out of frustration or impatience. 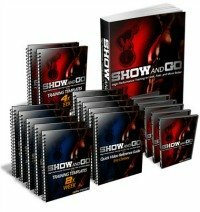 You need to be fast and physically flexible. The Aggressive Baseliner – This player likes to stay back at the baseline and play long powerful strokes from there. He usually has a very strong serve, and has mastered either the forehand or backhand for high endurance long rallying sessions. This can be very intimidating to his opponent because he appears to be driven by an endless supply of energy. The only things that will usually bring him down are mental distraction and fatigue. Two famous aggressive baseline players are Andre Agassi and Bjorn Borg. On a good day, nobody could beat them, but if tired or distracted, they could easily be brought down. A famous player from the 1920s – Bill Tilden – wrote a book in which he theorized that a top quality baseliner will always beat a net rusher. The Net Rusher (Volleyer) – This person loves moving straight to the net after a powerful serve. She stays at the net and has a gift for punching high impact volleys, slamming them home for a winning point. She is a fast mover, since she has only about half the time to respond to an oncoming shot as the baseliner has. This player’s strategy is to force her opponent to respond to a challenging surprise passing shot in record time, because a volley can go in any direction quickly. It can be highly effective, especially against those who prefer to play the baseline. Two well known net rushers in recent years are Pete Sampras and John McEnroe. Some of the best tennis you can watch on TV is when an aggressive baseliner and a swift net rusher get into an enduring battle. Roger Federer has been known to move in and become a net rusher when his opponent is Rafael Nadal, in order to try to win a seemingly endless rally. The All-Court Player – This is the master strategist who uses all play strategies, and knows when to use each of them for a powerful aggressive game. He is a counter-puncher, an aggressive baseliner and also dominates the net with a put-away volley, all at different times. This opponent is difficult to beat and keeps you on your toes at all times. The name of his game is versatility, and there is nothing predictable about it. Don’t let this discourage you, though. You can beat any player using your own most effective strategies. Roger Federer has somehow earned the unofficial title of greatest all-court player ever. My advice is to become aware of these different game styles and start practicing them to see which ones appeal to you most. Watch how your opponent reacts to them, and see which game styles he is uncomfortable with. You will have an edge over your opponent! Serve And Volley Opponent: 5 Tips To Beat Them Today! From "Tennis Game Styles: What Is Your Style Of Play?" 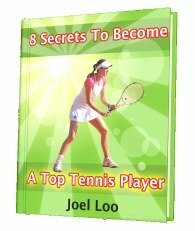 to "How To Play Tennis Efficiently And Become A Better Player"